Our board of trustees. 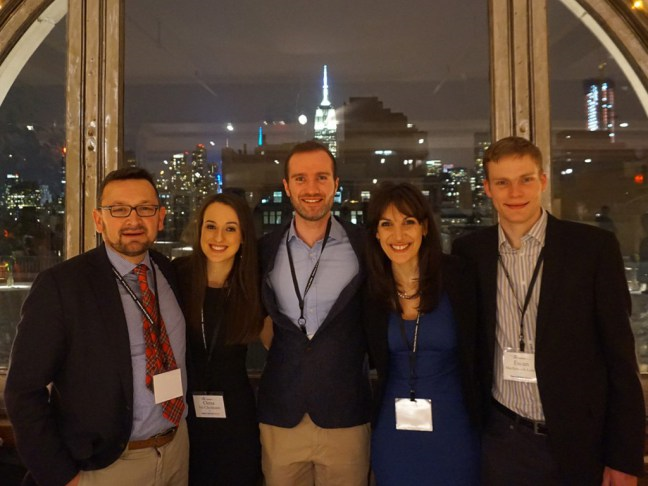 From left to right: Victor Lopes, Policy Advisor; Orna Ni Choileain, Research Lead; Niall Mc Goldrick, Convenor; Stephanie Sammut, Secretary; Ewan MacKessack-Leitch, Treasurer. 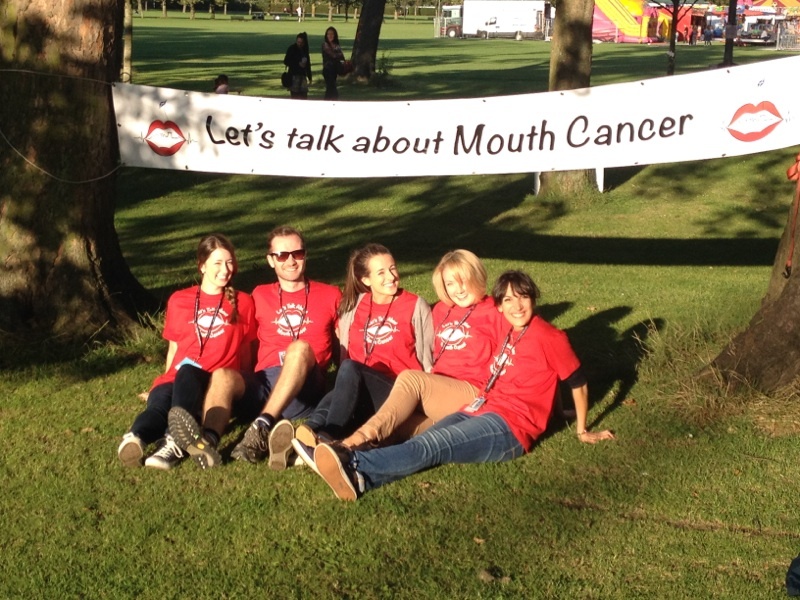 We are 5 volunteers who are passionate about tackling Mouth Cancer and getting people talking about this disease. We all met whilst working in Edinburgh and soon our ideas came together to evolve into the public facing charity we have today. We are all healthcare professionals with day jobs including Oral and Maxillofacial Surgery, Oral Surgery, Dental Practice, Public Health and Hospital Dentistry. Read more about each of us below! We are delighted that ex-international Scottish rugby player Scott Hastings is our patron. Click here to read more about him, and how he became involved with Let’s Talk About Mouth Cancer. We couldn’t do any of our work without the support of our many volunteers! Thank you! Niall holds the position of convenor of LTAMC and is one of it’s founding trustees. He graduated from Dundee Dental School in 2013 and immediately pursued longitudinal foundation training in the South East, working in general dental practice, paediatric dentistry, Oral and Maxillofacial Surgery and the public dental service throughout Lothian and Forth Valley. Moving into dental core training he took up a 13 month post in OMFS at the Queen Elizabeth University Hospital, Glasgow. He completed core training with a year spent working with the Scottish Dental Clinical Effectiveness Programme in Dundee as a Dental Core Trainee in quality improvement and clinical practice. He is now a Specialty Registrar in Dental Public Health with NHS Fife. With an interest in global health and humanitarian work, Niall has led expeditions to the Peruvian Amazon to provide a dental service to deprived communities and continues to support this work. In his free time he enjoys keeping fit by hitting the gym regularly and planning his next getaway. Orna is one of the founding members and trustees of the charity and is currently the Research Lead for LTAMC. Orna graduated with honours from University College Cork Dental School and Hospital in 2013. Following graduation she moved to Scotland to take up a post in Longitudinal Dental Foundation Training in the South East. This scheme combined foundation general practice training with rotations in community, paediatric and oral and maxillofacial surgery services. Orna completed her core training year in Forth Valley Royal Hospital in OMFS. She returned to Ireland in 2016 to begin her medical training in Trinity College Dublin. Orna continues to work with the LTAMC board of trustees and has also been invited to join the Mouth Head and Neck Cancer Network of Ireland following links made at the Global Oral Cancer Forum. Outside of her studies, Orna plays violin in the Dublin Symphony Orchestra and enjoys travelling. Ewan is one of the founding Trustees and currently Treasurer of LTAMC. He graduated from Dundee Dental School in 2011. After completing VT in Perthshire he undertook further CT training in Oral & Maxillofacial Surgery and Community Dental Service within Fife; the Edinburgh Dental Institute; and Dundee Dental Hospital; before moving to work in general practice. Most of his week is spent as an associate GDP in Bridge of Earn but on Fridays he works at Dundee Dental Hospital & School as a Specialty Dentist/Honorary Clinical Teacher in Paediatrics. Always busy, Ewan is the former Treasurer of BDA Dundee & Perth District Section and when not at work or volunteering with LTAMC can be found regularly training & playing rugby for Perthshire RFC. Victor trained as a head and neck oncology surgeon and was amongst the first in the UK to undertake interface training in head and neck surgical oncology. He also undertook formal academic and research training leading to the completion of a PhD in molecular oncology within the setting of a CRUK research institute and sponsored by an MRC research training fellowship. Victor was appointed in Edinburgh in 2007 and whilst practicing as an academic surgeon held a senior management role within the NHS for nearly five years as Associate Medical director until he was awarded a chair by the University of Edinburgh in 2013. He now heads a translational research group. Victor’s research is focussed on improving outcomes for patients with mouth cancer by developing biomarkers of disease and by using modern molecular methods to stratify disease and develop new therapeutic targets. Stephanie graduated in dentistry from the University of Malta in 2005. She moved to Edinburgh in 2008 to undertake postgraduate training. In 2010 she began her specialist training in Oral Surgery. She now works as a Consultant Oral Surgeon at Dundee Dental Hospital and school, where she is the specialty lead for the department. She is heavily involved in teaching of undergraduate dental students and postgraduate trainees. Her research interests are in the genetic predisposition to medication related osteonecrosis of the jaw and the epidemiology of this same disease. She is a trustee and secretary of Lets Talk About Mouth Cancer. Our digital media advisor Andrew Hannah provides essential support for our online platforms and teaching events.